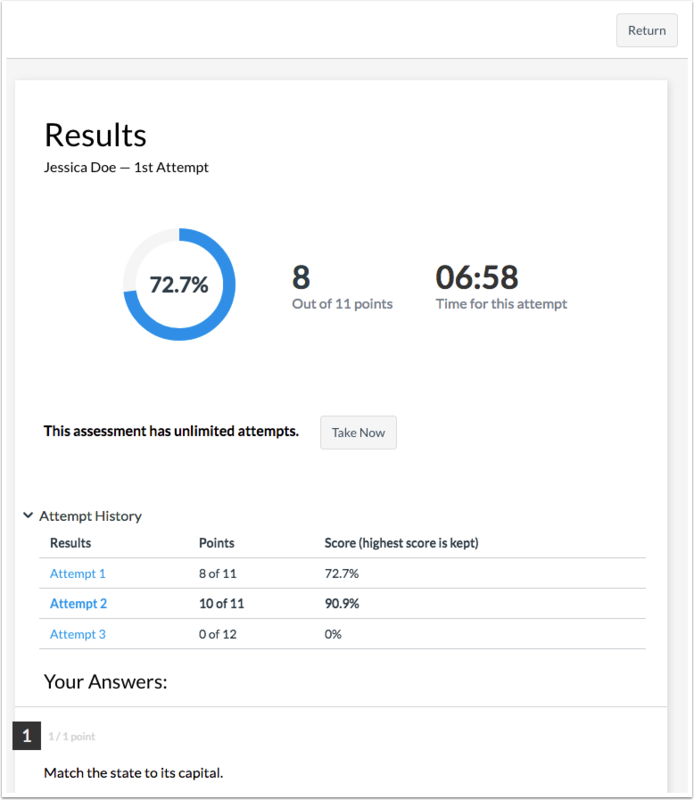 Quizzes.Next is an assessment engine that integrates with Canvas as an LTI tool and replaces the classic quizzes functionality currently existing in Canvas. Instructors can use Quizzes.Next to create assessments using a variety of questions types. Quizzes.Next assessments display as assignments in the Assignments page and can be duplicated. Students can take Quizzes.Next assessments within their Canvas courses. 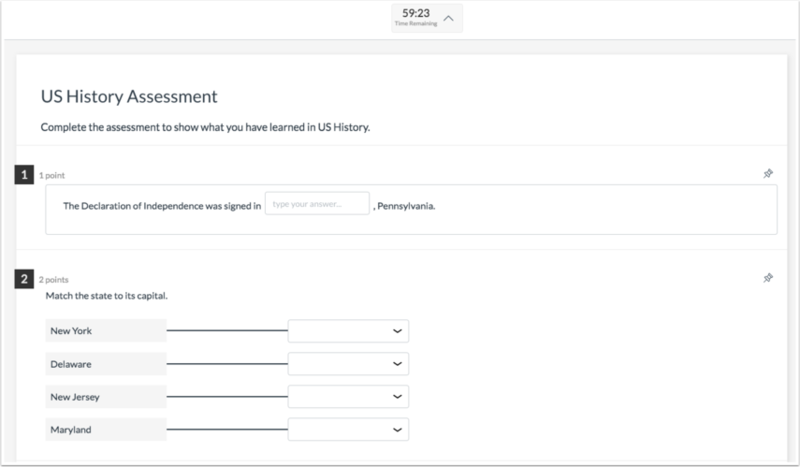 Instructors can use Quizzes.Next to build assessments with several item types that measure student competency in a variety of subjects. Assessments can be modified using various assessment settings and aligned to outcomes at the assessment or question level. Instructors can moderate student attempts and review students' answers. Quizzes.Next includes assessment reports for admins and instructors to view student performance, including mastery of learning outcomes. Students can access Quizzes.Next from a Canvas course to take an assessment. Students can view their results from Quizzes.Next assessments. Assessment results include overall and individual questions scores. They may also include instructor feedback. Next Topic:What is the Rich Content Editor? Table of Contents > Canvas Features > What is Quizzes.Next? Re: How to increase character limit in Question? Re: Can you duplicate a quiz? Quais opções de funcionalidade estão atualmente disponíveis para um curso no Canvas?